There are now two Americans on Worcester. After a handful of appearances for Ealing in the RFU Championship where he scored five tries Andrew Durutalo is making the move to the Aviva Premiership and joining up with Worcester. He joins American Joe Taufete'e (who had a hat-trick over the weekend) at the club. 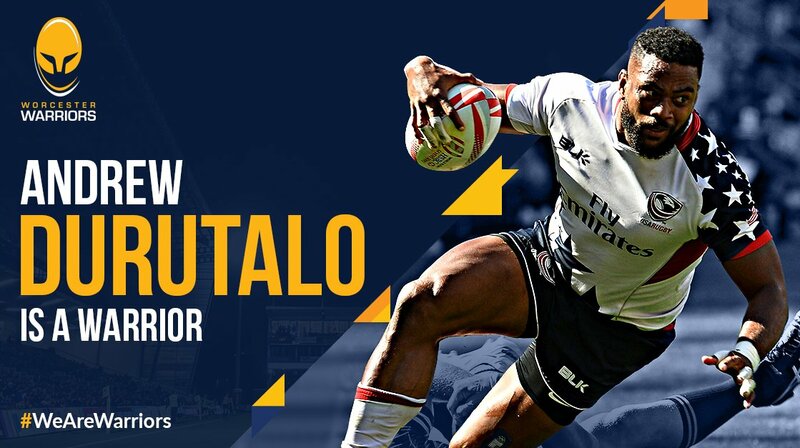 Prior to joining Worcester and Ealing Durutalo played for the Eagles 7s at the Olympics and on the 7s series as well as for the Sunwolves in Super Rugby. The move is a strong one for Durutalo who will now get a higher level of play before the November internationals. He will join the club this week.